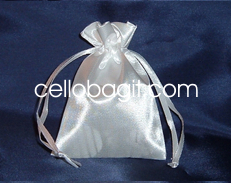 6" x 3.25" X 13.5"- Gusseted Clear Cello/Cellophane Bags -100 Bags - Party/Wedding Favors •	Gusseted Bags - Clear - Side Weld Unprinted 1.2 mil •	100 Bags/Package - size as specified in the title •	Great item for Wedding Favors, Party Favors or nuts, gourmet food packaging •	* Content shown in photo is not included ---------------------------------------------------------------- These Cello Bags are manufactured by: Int'l Giftware Corp. and carry the following tests: - SGS test report for food contact in compliance with FDA - US CPSC Regulation - Lead Element Test - Proposition 65 (California) If you are not buying from Int'l Giftware Corp. directly, you are not receiving the product specified here. 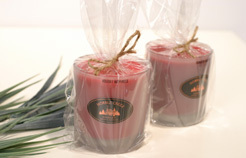 Our Cello Bags are identified by our logo in each package. Quantity: 100 Bags - Flat Bags - Side Weld Unprinted 1.2 mil BOPP .. These bags are flat and simply ideal for hundreds of uses .. grab some ribbons and dress them up for a unique look and one of a kind presentation ..